Chaz Burke-Kennedy originated from Wellington where he had been playing with the Roadrunners. In 1968 he joined Jigsaw as lead guitarist, but by 1969 he was on his way to replace Lou Rawnsley in the Underdogs. Chaz was born in Auckland in 1949, but in 1952 he moved to Lower Hutt with his mother, brother and sister. At the age of eight, he was given his first guitar by his step father, and took lessons from a very fine English guitarist, Mr Jim Baker. By the time he was ten, he had made friends with another boy from school, who had a tea chest bass and an electric guitar and amplifier that his father had built for him. His name was Larry Wilton, he was slightly older than Chaz, and together they formed a duo called the Crackerjacks. They began performing at the Casa Fontana coffee lounge in Wellington on the same nights as Bill and Boyd. They wore black and white striped shirts and black Ivy Leagues. Larry looked like a blonde Elvis. He would play his black and white tea chest bass, sing his Elvis songs and do his moves. Chaz played Larry's electric guitar and sang the harmonies on their Everly Brothers numbers. They even had their own manager, and he persuaded Chaz's parents that he could do better with Chaz as a solo act. So before long, with Chaz being exceedingly unhappy about it, the Crackerjacks were split up. A couple of the most memorable songs Chaz and Larry performed were Elvis' "Teddy Bear" and the Everly's "Be Bop A Lula". 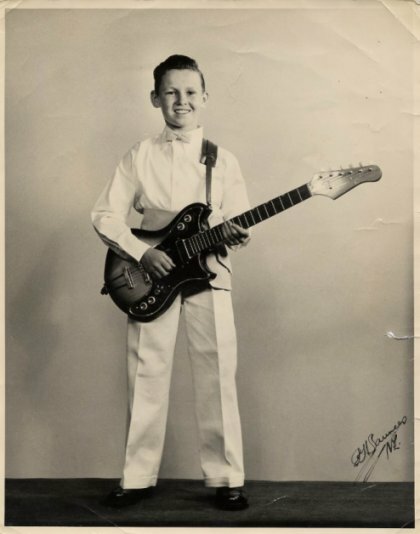 Chaz's solo act commenced as an eleven year old, when using the name "Charles Leslie", he was entered in the "Big Search Talent Quest" of 1961. Singing Neil Sedaka's "Calendar Girl" and Elvis' "Jail House Rock", he made it through to the final, where he finished runner up to Teddy Bennett and the Premiers. Teddy sang "Wimoweh" and "Clap Your Hands", which after their success was released as a single for HMV. First prize at the talent quest was one hundred pounds, to be shared amongst the group, whereas second was seventy pounds, pocketed by a soloist. After the talent quest, Chaz continued with the guitar lessons and was groomed into a very polished cabaret act. He began appearing as a floor show at all of Wellington's top night clubs and "Dine and Dance" cabarets including the Majestic, the Pines, the Skyline and Claridges. At the Zodiac Cabaret, he was performing on the same nights as Tommy Adderley. Chaz tells me that on those nights he was allowed to stay up and watch him do his sets. He says that Tommy had a smile a mile wide and did a great rendition of "Mac The Knife". He also added that his favourite place to play was the Downtown as it was huge, quite dimly lit, and he got to get a free chicken dinner at 1am. It was quite a grueling routine for an eleven year old. He would come home from school on Friday, or swimming on Saturday, have his dinner with his family and go to bed for a while. At eleven pm his parents would get him back up again and his manager would drive him into Wellington. His manager would always wear a tuxedo and he would set up the stage while Chaz got changed into his outfit. When ready, he would walk out on stage, into the lights and a room full of partying adults and do his set. This would usually include some Elvis and current hit numbers, along with some very sophisticated arrangements of the Platters' "Twilight Time" and "My Prayer", which Jim Baker had helped him with. He used to get paid six pounds for a four song set and another three pounds for each song as an encore. They would often do two clubs in a night. By this time, Chaz was just turning twelve, and beginning intermediate school. The pressures of school work, rehearsing and performing took its toll and his manager was instructed not to take any further bookings. About a year later, his step father, who had given Chaz his first guitar, arranged the music lessons, and done the coaching, was taken by cancer. If this wasn't tragic enough, a further year later, Larry, from the Crackerjacks, was killed in a mining accident in Australia at the tender age of fifteen. Chaz's career stopped for a few years after that. It only began to re-ignite itself after he became friends with George Barris and Glyn Mason at high school, where they began to share their interests in the Shadows and the Beatles. In 1964 Chaz became a member of the Roadrunners. He stayed with them until they broke up and then went on to join Jigsaw in 1968. 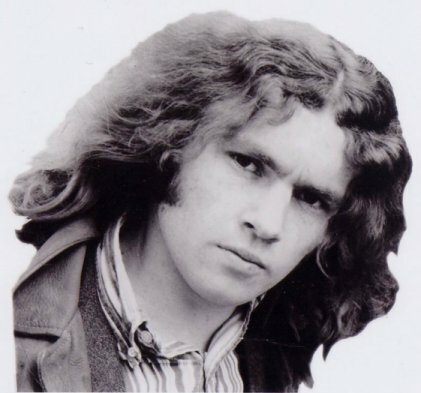 By the end of 1968 Jigsaw had ended and Chaz replaced Lou Rawnsley in the Underdogs. That was a stay of less than a year and from there Chaz later joined the Bob Jackson Trio, and that band was to evolve into Fresh Air. He stayed with Fresh Air until mid 1971 when they broke up. At that point he decided to go to the United States. On arrival in the US, he realised very quickly that he would not be able to get a decent band together, so he bought a Guild acoustic guitar and resumed solo performing. He created a repertoire of mainly original songs interspersed with some James Taylor numbers and did several performances at the Rubaiyat Club in Dallas and also at the nearby Texas State University. Although he was well received by his audiences, Chaz was not comfortable with solo performing. He decided to audition as lead guitarist for a band that was being formed to open a new night club in downtown Dallas. He beat 25-30 others looking for the job and began performing mainly country and rock'n'roll numbers. They had a very talented lead singer and when he left to perform at Las Vegas, the group began to fall apart. As Chaz had immigrated to America in order to be able to work there, he was now being asked to sign up for the draft. He weighed up the situation and decided to return to New Zealand after being away six months, only two weeks before he was due to report for service. On returning to New Zealand at the end of 1971 Chaz had a short stint with Breeze. While in America Chaz had written and made demos of a number of songs and when he eventually made it back to Wellington in mid-1972 he got back together once more with Tim and Noel from the Roadrunners. With their friend Stewart Fraser on Hammond organ and Jim Pilcher as their manager once more, they began to play around the clubs and hotels in Wellington as Gumboot. During their rehearsals they made some live recordings of Chaz's songs, including "Find Her". It was during this time that Corben Simpson turned up in Chaz's life and asked Chaz if he would add some guitar overdubs to an album he had almost finished. Chaz did this and as a result he was introduced to EMI's producer Mike Le Petit. Chaz gave Mike his demo tapes to listen to, and as a result it was decided to record four tracks for two singles. The selected songs were "Find Her"/"Can You Anybody" and his most popular songs from his time in the US, "My Ship"/"Baby". While this was happening Chaz had decided to tour with Blerta, with whom Corben was involved and he knew Bruno from his earlier participation in Fresh Air. So Chaz had some fine musicians available to perform on his singles. The musicians on "Find Her" were Bruno on drums, Billy Williams on bass, Chris Seresin on piano and Stewart Fraser on organ. The "Find Her"/"Can You Anybody" single was released in 1972 on Harvest for EMI. There were probably only a few hundred copies pressed and its distribution limited to the Wellington area. "Find Her" is a classic cut and although it didn't see much chart action it stands as an example of Chaz's abilities as a singer, songwriter and guitarist. Chaz also did some promotional work for EMI which included concerts with Blerta, Corben Simpson, and Sharon O'Neill, who had also just released a single for EMI on ODE in 1972. Following these he hit the road with Blerta. The other single, "My Ship"/"Baby", which Chaz believes were not only excellent recordings, but the two best and most commercial songs he had written, was never released. As he had by now left Blerta and relocated to Auckland, he never bothered to pursue the release of that single, and unfortunately the master tapes have long been lost. During 1973 and 1974, Chaz spent time with Al Hunter's Chapeaux at Phil Warren's Crypt. They were the opening act at the Rod Stewart and the Faces concert at Western Springs and again for the Leon Russell concerts. 1975 and 1976 he was again at the Crypt, but this time with Sonny Day and Caravan. Over the summer at the end of 1976 Chaz toured the upper North Island with a group called Biggles. They were some University student friends who he just enjoyed being with. Their lead singer was Paul Robinson, who later did well in a band called Berlin. Also in the group was Mark Gillett on guitar, also a member of Berlin. In early 1977 Chaz was back with Al Hunter again for a few weeks with the Hunter McCallum Band. In mid 1977 Chaz returned to Wellington permanently and was so tired and disillusioned with the whole music scene that he sold his Les Paul guitar and Fender twin amp and bought himself a Mk I Jaguar instead. I would like to express my sincere thanks to Chaz for giving me an insight into his life and the opportunity to give him his place in New Zealand music history that he so rightly deserves.